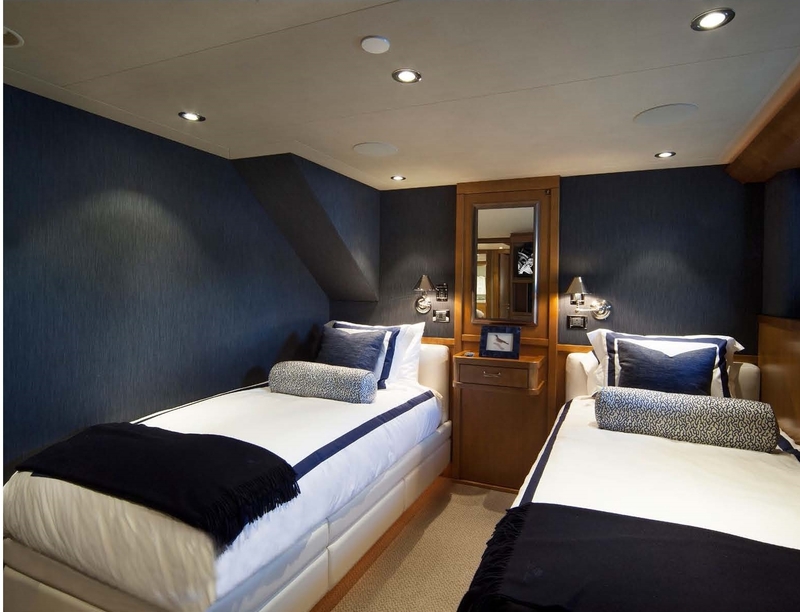 FAR NIENTE accommodates ten guests in five staterooms, one a master with Queen berth, plus two Queen guest cabins, and Two Twin cabins, all with private, ensuite bathroom. 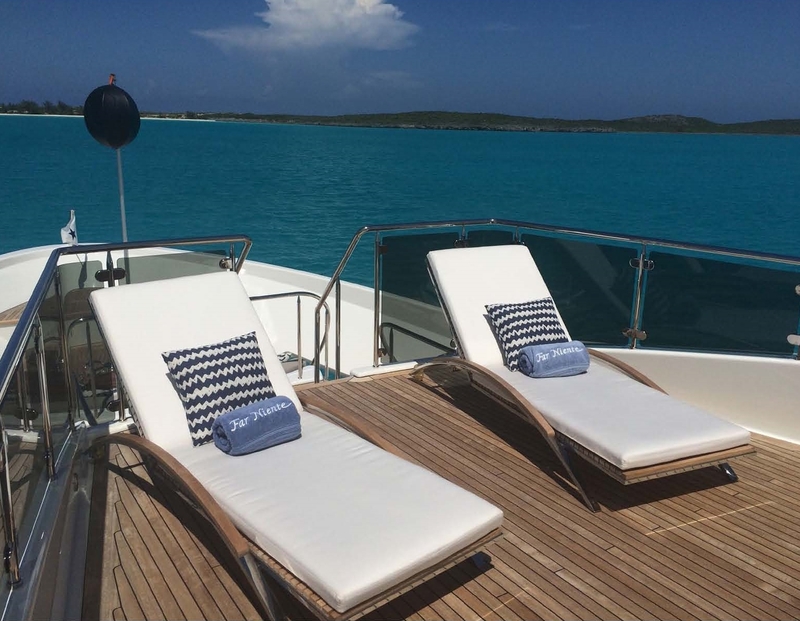 Presently available in the Eastern Caribbean, the 2014-built, 130’ Westport (USA), tri-deck, FAR NIENTE, is one of the most beautifully decorated, gracious, and well equipped yachts on the charter market and receives fantastic good-time letters from guests. 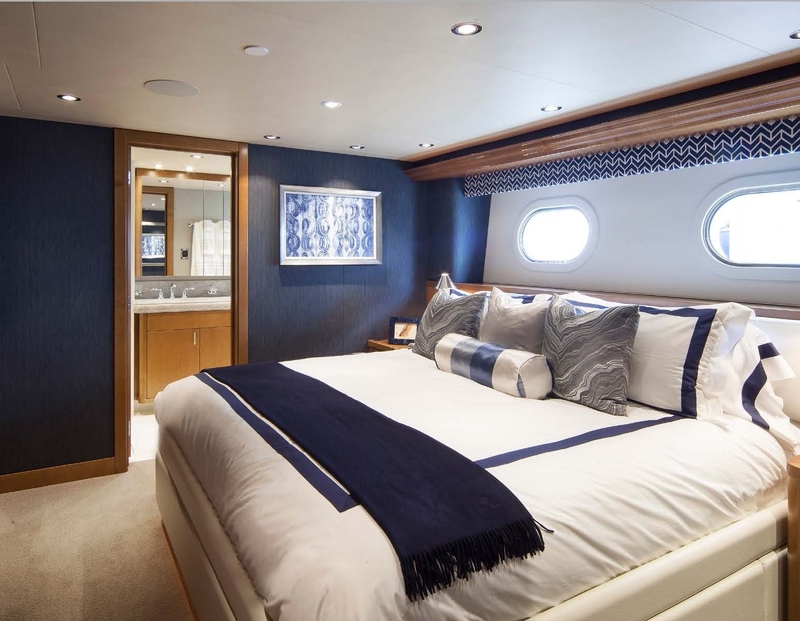 Captain Zach Paap and his crew – Chef Benoit Mercier – won the Chef Competition for yachts over 100’ at the charter show in Newport last year. 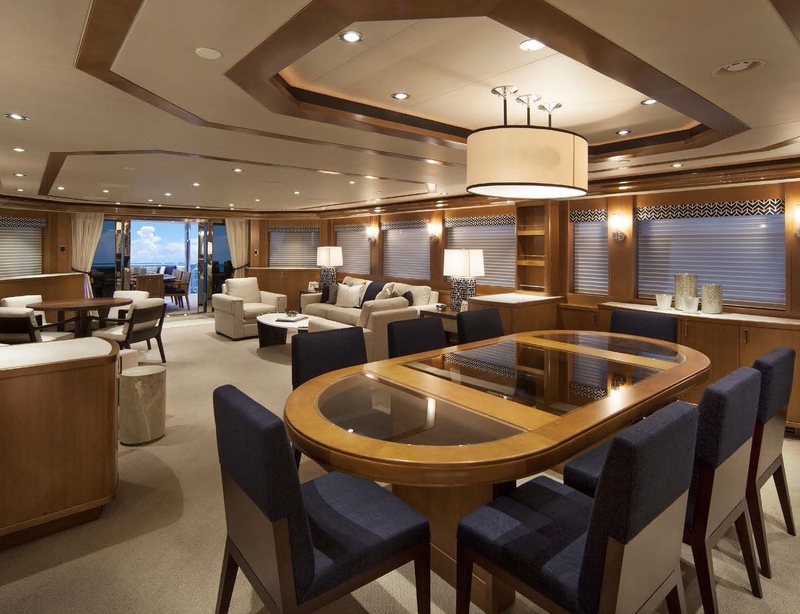 Chief Stewardess Nikky Mercier and interior crew won the tablescaping competition. 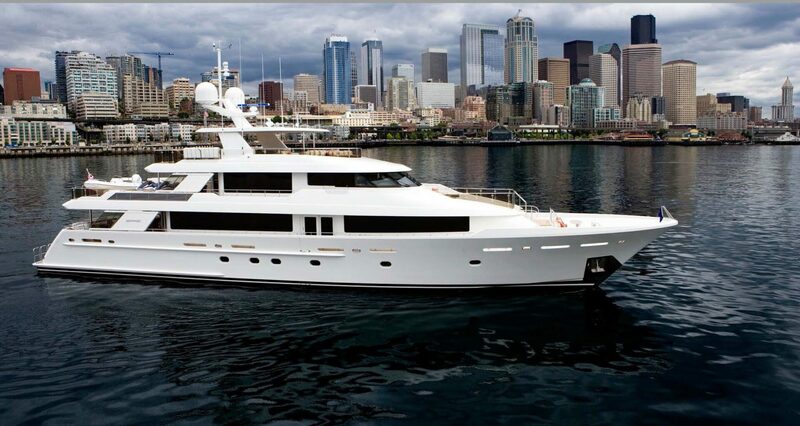 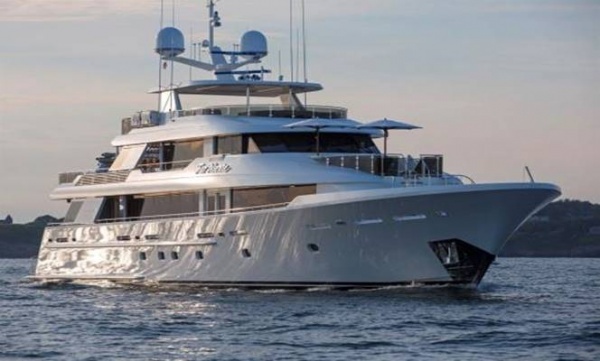 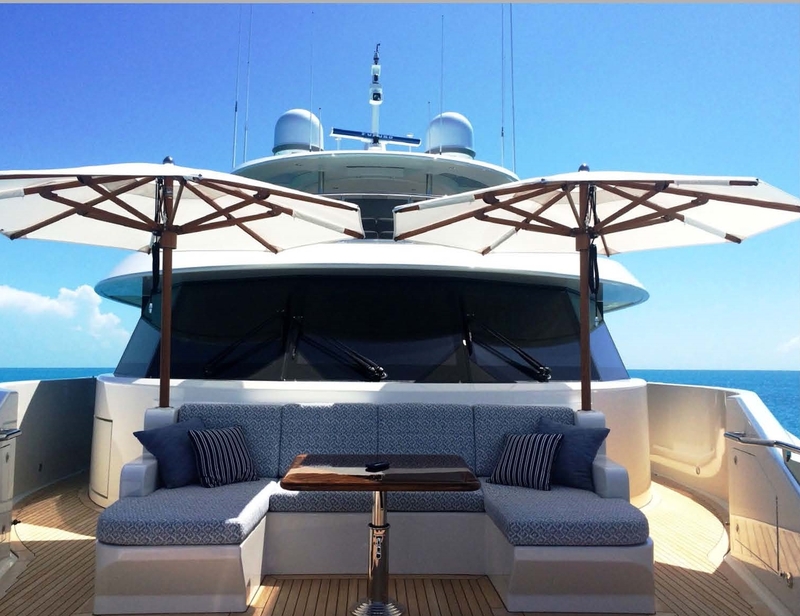 FAR NIENTE means ‘do nothing.’ The yacht accommodates ten guests in five staterooms and charters in the Eastern Caribbean during the winter, Florida and the Bahamas during spring and fall, and New England during the summer. 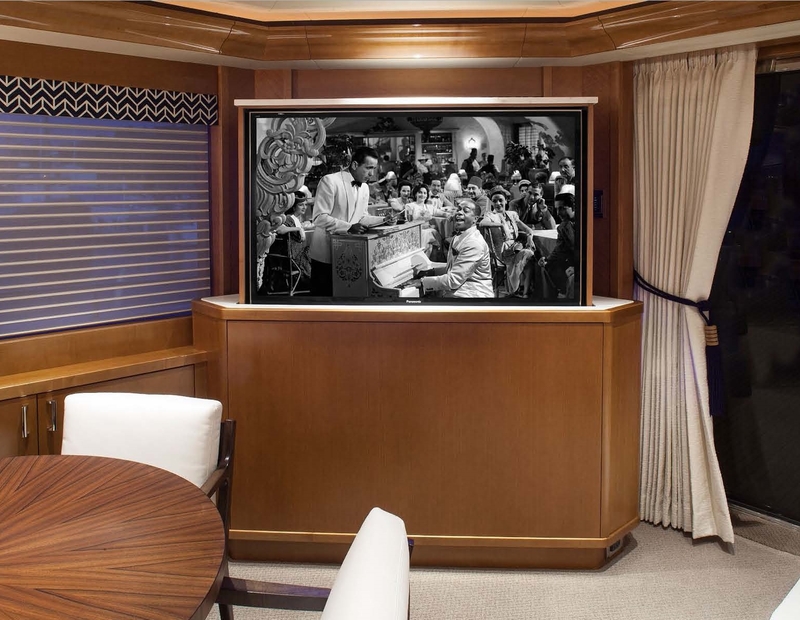 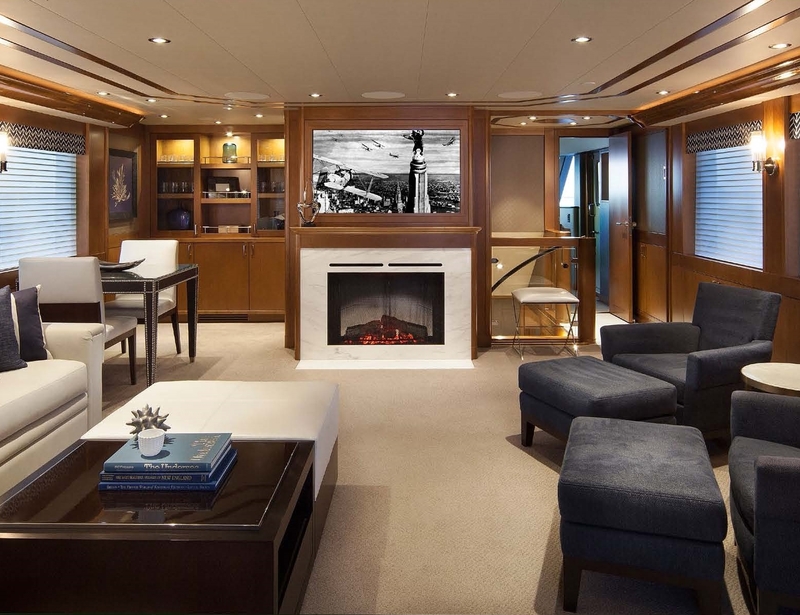 FAR NIENTE’s appointments in the saloon set the tone for the rest of the vessel. 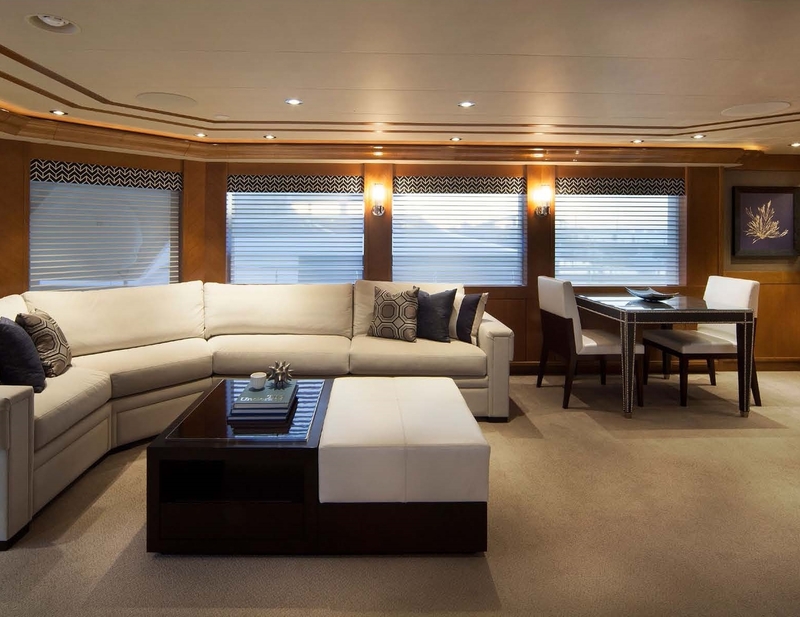 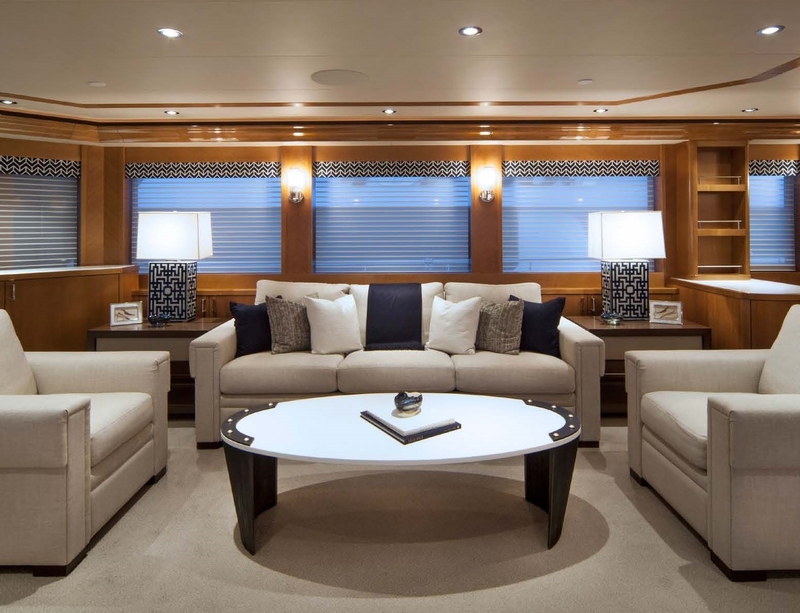 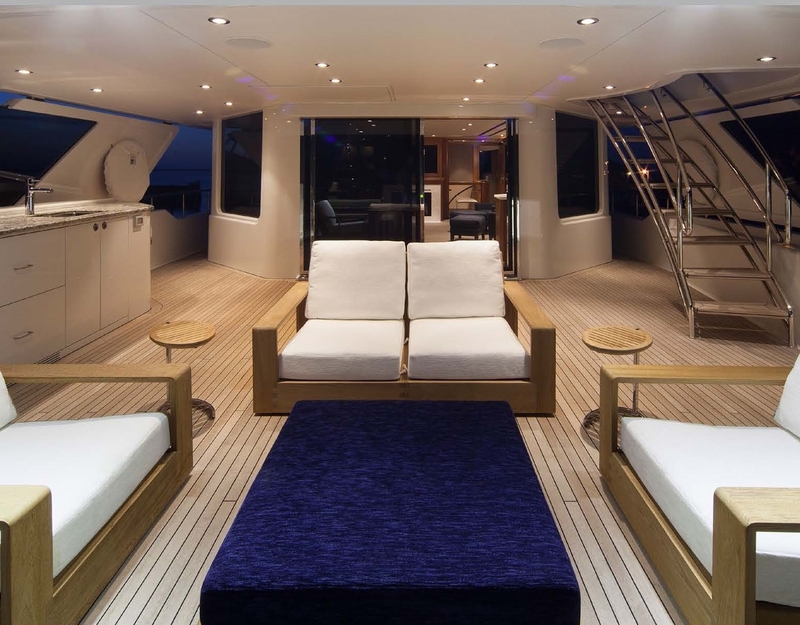 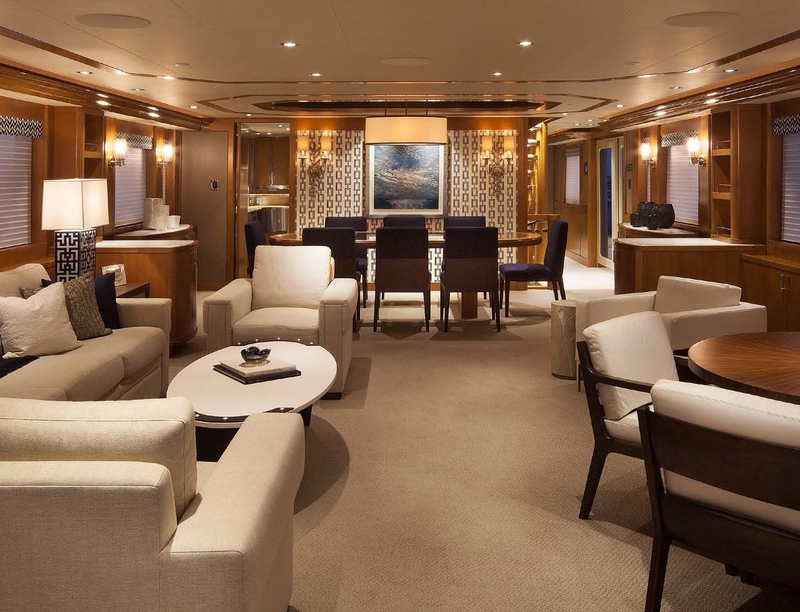 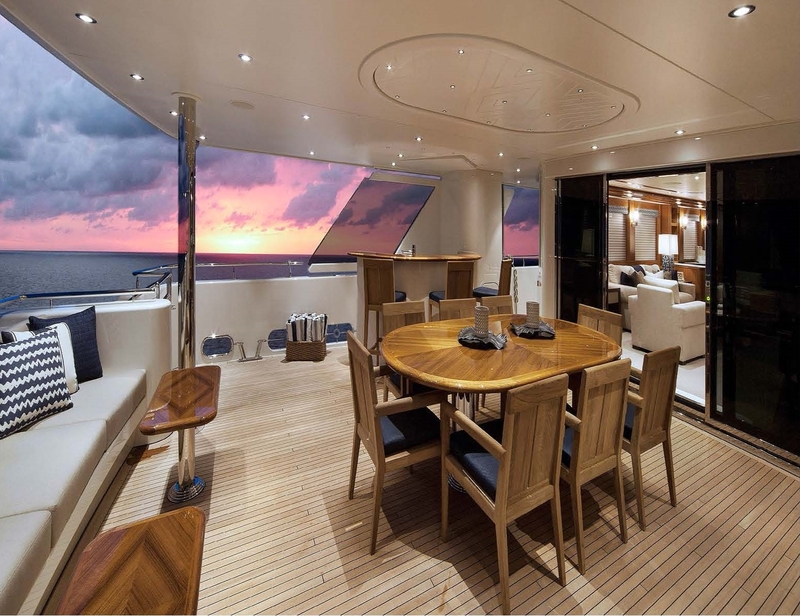 The blond beech-wood paneling, white ceiling liner, blues and silvers in the saloon are followed through into the guest cabins, skylounge, and sundeck. 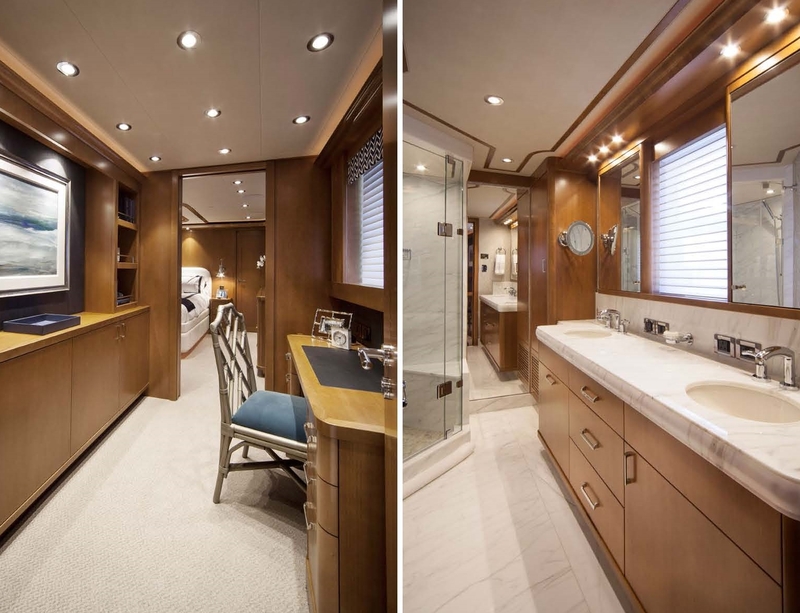 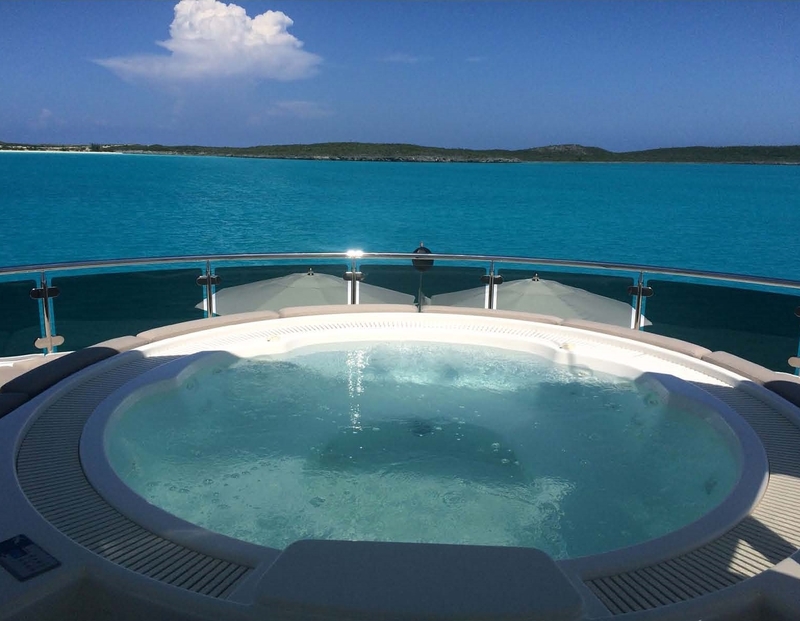 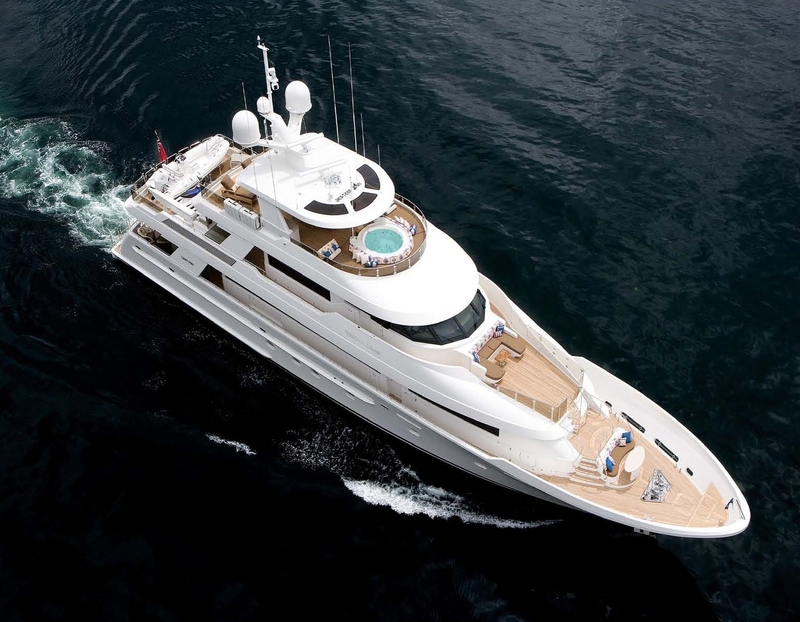 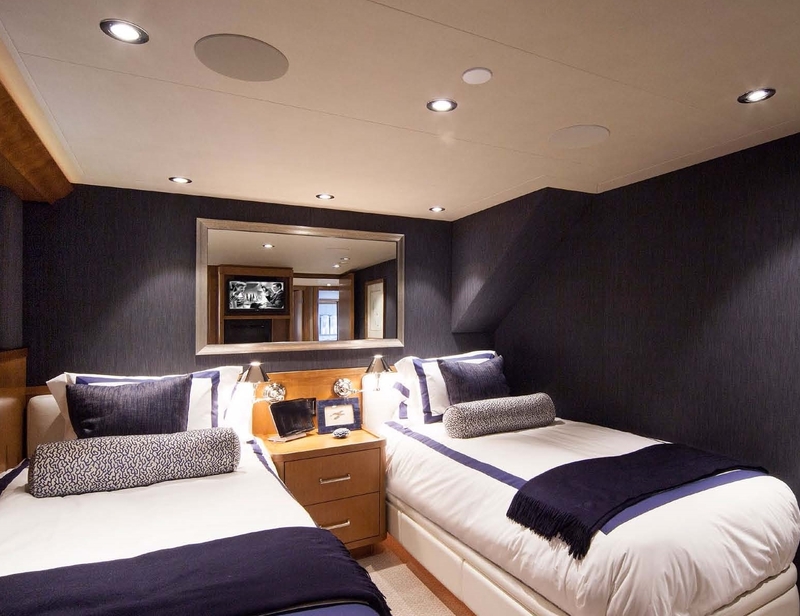 The yacht has a master cabin with Queen berth, plus two guest cabins, each with Queen, and two Twin cabins, each with private, ensuite bathroom. 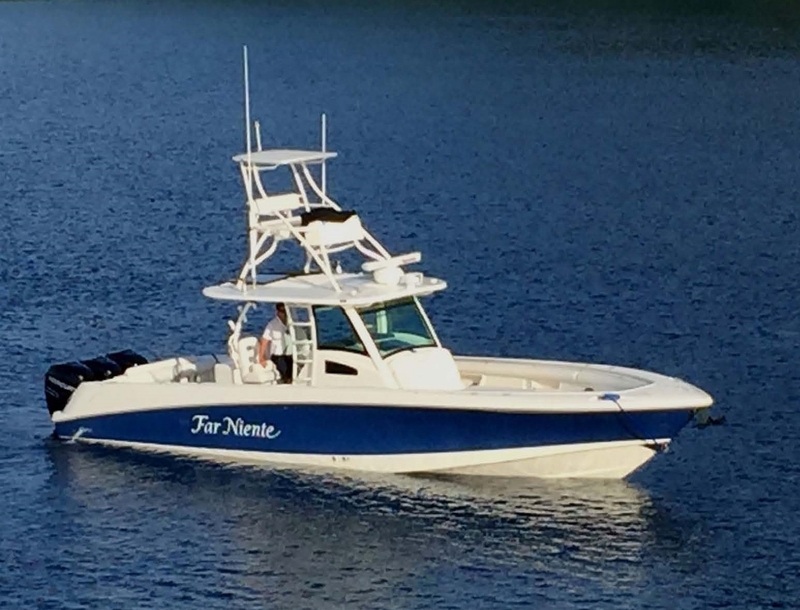 She offers all manner of sports equipment, including: 37′ Boston Whaler tender with AC in the cabin and rigged for fishing (available in the Bahamas and Caribbean only), 15′ Ab inflatable tender, 2 2-person waverunners, Water-skis, 3 Kayaks, 2 Paddleboards, Floating Maui Mat Raft, 4 bikes, Beach Toys, Beach Tent.